Hedge fund interest in Portland General Electric Company (NYSE:POR) shares was flat at the end of last quarter. This is usually a negative indicator. At the end of this article we will also compare POR to other stocks including Hancock Whitney Corporation (NASDAQ:HWC), The Wendy’s Company (NASDAQ:WEN), and AU Optronics Corp. (NYSE:AUO) to get a better sense of its popularity. Let’s take a look at the fresh hedge fund action encompassing Portland General Electric Company (NYSE:POR). What have hedge funds been doing with Portland General Electric Company (NYSE:POR)? At the end of the third quarter, a total of 16 of the hedge funds tracked by Insider Monkey were bullish on this stock, a change of 0% from the second quarter of 2018. 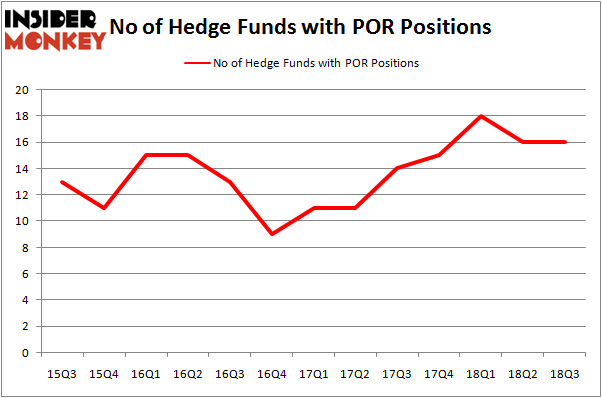 The graph below displays the number of hedge funds with bullish position in POR over the last 13 quarters. With hedge funds’ sentiment swirling, there exists a few key hedge fund managers who were boosting their stakes substantially (or already accumulated large positions). 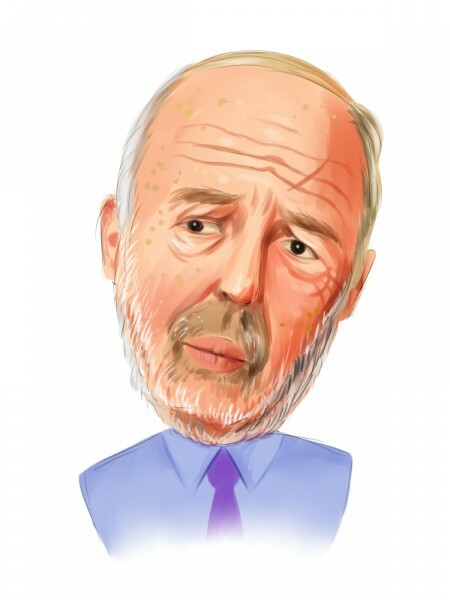 When looking at the institutional investors followed by Insider Monkey, Jim Simons’s Renaissance Technologies has the biggest position in Portland General Electric Company (NYSE:POR), worth close to $92.2 million, amounting to 0.1% of its total 13F portfolio. The second largest stake is held by GLG Partners, led by Noam Gottesman, holding a $63.5 million position; the fund has 0.2% of its 13F portfolio invested in the stock. Other peers that hold long positions include D. E. Shaw’s D E Shaw, Israel Englander’s Millennium Management and Dmitry Balyasny’s Balyasny Asset Management. Let’s now review hedge fund activity in other stocks – not necessarily in the same industry as Portland General Electric Company (NYSE:POR) but similarly valued. We will take a look at Hancock Whitney Corporation (NASDAQ:HWC), The Wendy’s Company (NASDAQ:WEN), AU Optronics Corp. (NYSE:AUO), and Kosmos Energy Ltd (NYSE:KOS). This group of stocks’ market caps are closest to POR’s market cap. As you can see these stocks had an average of 19.75 hedge funds with bullish positions and the average amount invested in these stocks was $417 million. That figure was $269 million in POR’s case. The Wendy’s Company (NASDAQ:WEN) is the most popular stock in this table. On the other hand AU Optronics Corp. (NYSE:AUO) is the least popular one with only 10 bullish hedge fund positions. Portland General Electric Company (NYSE:POR) is not the least popular stock in this group but hedge fund interest is still below average. This is a slightly negative signal and we’d rather spend our time researching stocks that hedge funds are piling on. In this regard WEN might be a better candidate to consider a long position.